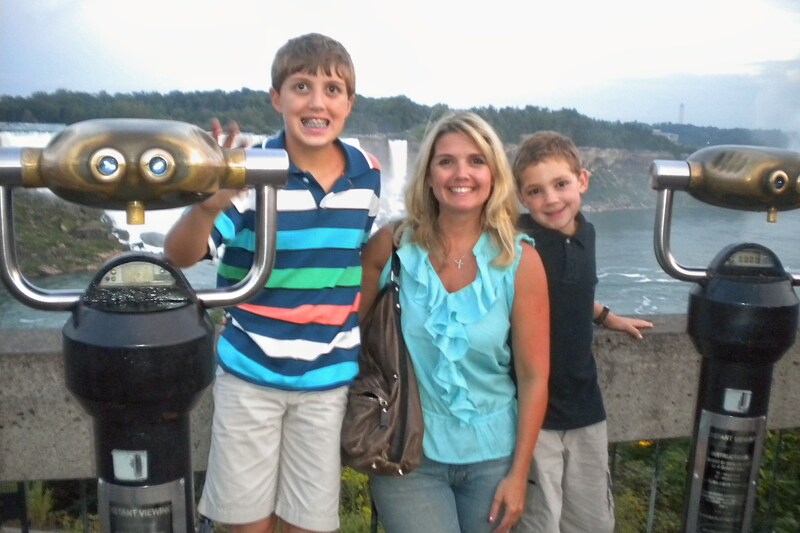 Visiting Niagara Falls by far has been one of my family’s favorite memories from our road trip through Western New York state and Canada. 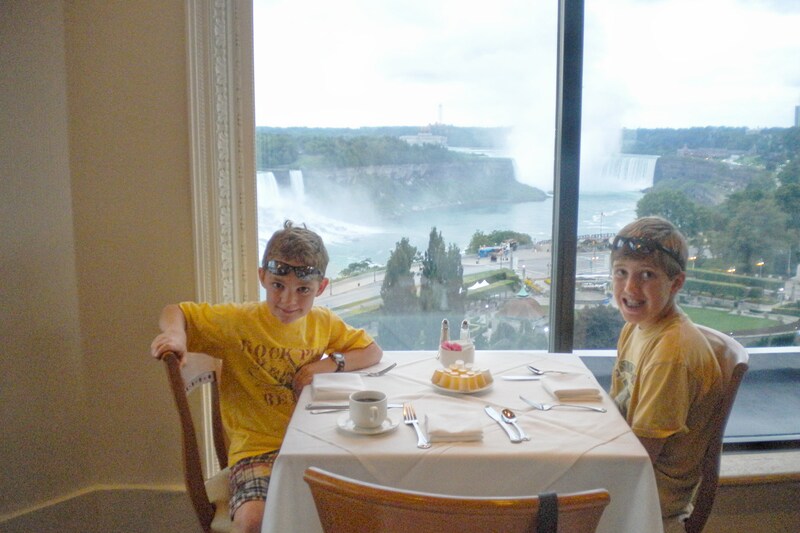 The fact that my son and nephew loved Niagara Falls most probably had something to do with getting wet. Really wet! The excitement of splashing water had them shrieking with joy when we stood on the Niagara Falls viewing platform and felt the mist on our faces. 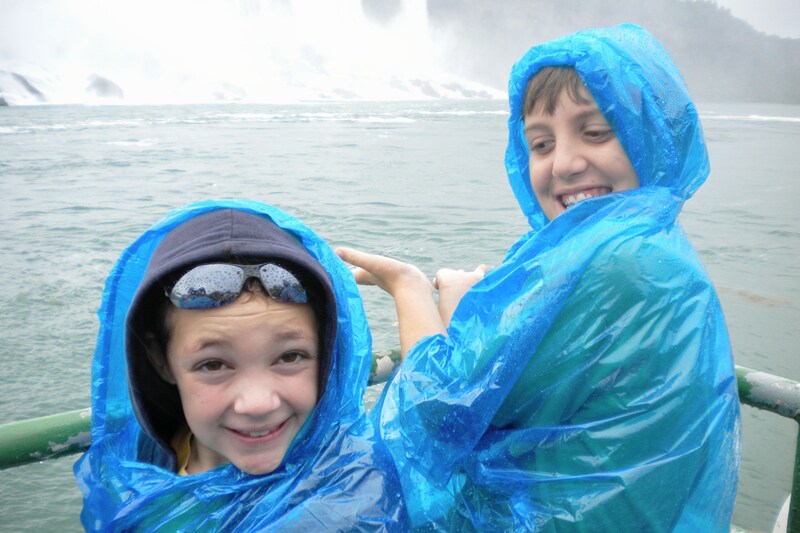 The shrieks became louder when we cruised on the Maid of the Mist which required ponchos. Spending the day at Fallsview Indoor Waterpark and running under the 1,000 gallon tipping bucket topped off our stay and honestly there is no words for their excitement. Most people have had an opportunity to view a photograph of Niagara Falls, but let me tell you there is nothing like seeing it in person. Niagara Falls actually is the name known collectively for the Horseshoe Falls in Canada and the American Falls and Bridal Veil Falls in the United States. The combined falls of the Niagara River forms the highest flow rate of any waterfall in the world. Niagara Falls forms the international boundary between the United States and Canada and flows between the twin cities, Niagara Falls Ontario and Niagara Falls, New York. On the viewing platform in Ontario. Breakfast at the Fallsview Restaurant. The best way to check out the falls and “explore the roar” is on one of North America’s oldest tourist attractions, The Maid of the Mist. The Maid of the Mist has been in operation since 1846 and departs from either shore. Since we were staying in Ontario at the Crowne Plaza we departed from the Canadian side. 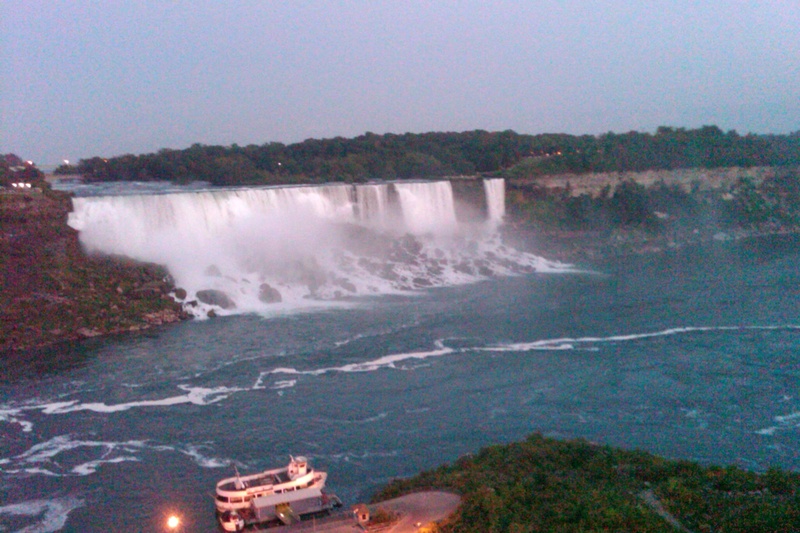 The half hour cruise sails upriver right up to the base of both the American and Horseshoe Falls. Of course with any tourist attraction there is an opportunity to learn something new from the tour and in this case interesting facts revolved around the formation the falls and a quick geology lesson about the gorges. We also learned about hydro-electric power that is generated by the falls and shared by both eastern United States and Ontario, Canada. As much as I love having the boys learn something new, these facts were overshadowed by getting wet and there was absolutely no way of avoiding getting drenched to their delight. I am just happy ponchos were provided! The boys thought cruising under the “big spill” was cool, but spending the day at North America’s largest indoor waterpark and hotel complex in their eyes was AWESOME! Atop The Crowne Plaza Hotel was an amazing indoor waterpark that offered over three acres of indoor water fun. 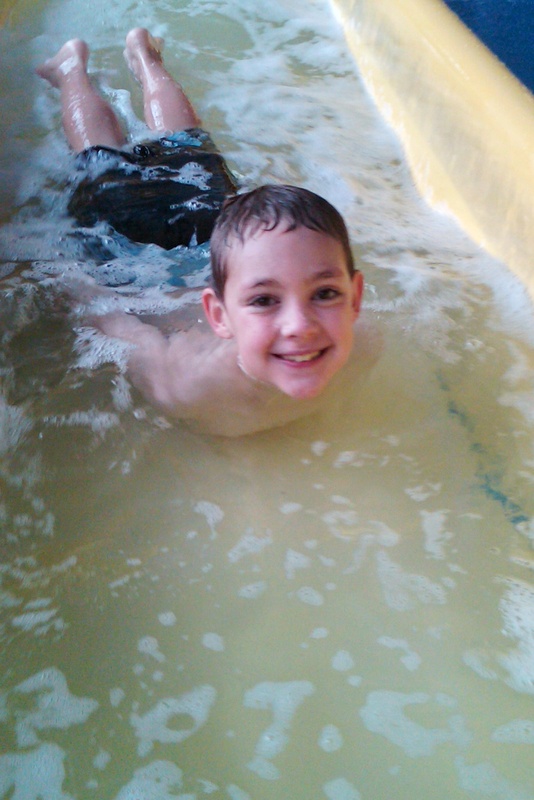 The boys loved the massive indoor wave pool. Of course they made sure they slid down all sixteen water slides. 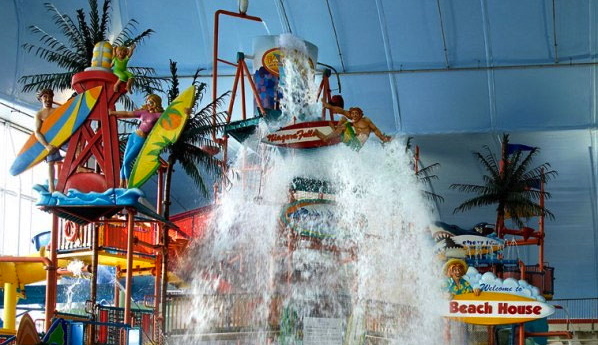 The giant plunge bowl was also a favorite. All smiles on the one of the many slides. 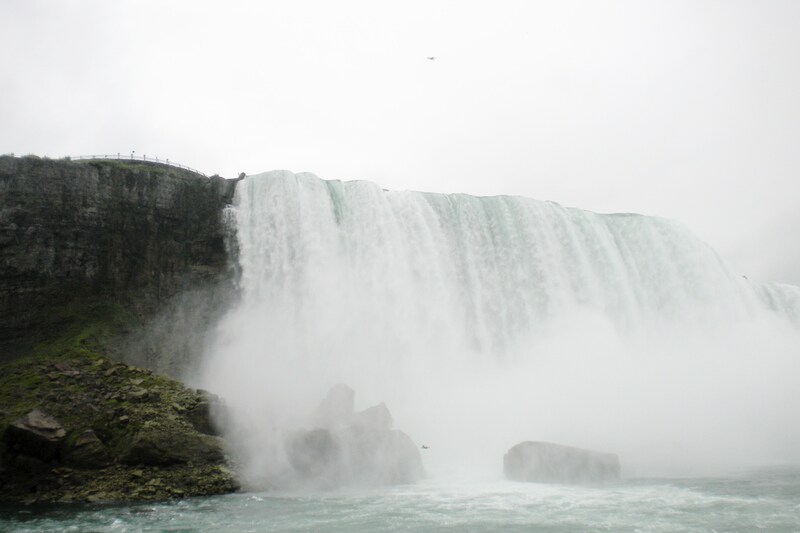 Niagara Falls was captivating and I am glad the boys were able to see the second largest waterfall on Earth. (The first is Victoria Falls in southern Africa.) My son shared that bringing him to see one of our planet’s greatest natural wonders made me a cool mom, but staying at hotel with not just an indoor pool, but an indoor waterpark made me the “COOLEST GREATEST MOM” ever! 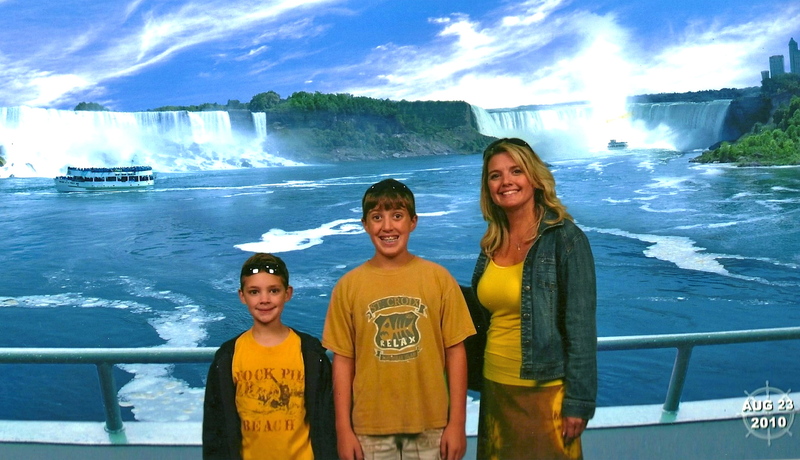 Has your family gone on a vacation to Niagara Falls? Did your clan get wet and wild under the falls?